Anne’s on the Avenue has been proudly selling international and Canadian-made fashions since 1989 and today, almost 30 years later, it continues to be one of the finest fashion boutiques in Windsor-Essex county. Owner Anne Waters has a knack for picking out pieces that are timeless and classic, but she also knows how to integrate those classics with items that are cutting-edge. That’s because she understands her clients and what they want. So who are the Canadian designers and the manufacturers that keep customers coming back? Frank Lyman Design, Cartise, Luc Fontaine Shannon Passero, Pure Essence, Lisette L, Rafinalla, FDJ French Dressing Denim…the list is long and it keeps growing every year. Anne also has an extensive collection of ladies fashion accessories including handbags, earrings, belts, necklaces, bracelets and scarves. Anne’s on the Avenue can dress you for every occasion, from a casual game of golf to the next big gala. Anne Waters opened Anne’s on the Avenue Fashion Boutique on Sept. 1, 1989 in a charming old brick house on Ouellette Ave. But she was involved in fashion long before that. She first created a home party company called Your Home Boutique, bringing clothes to her clients from 1985 to 1989. In 1986 Anne founded La Moda Ladies Fashions and continued to operate it until the time was right to re-brand under her own name. In 1994 she took the plunge and relocated Anne’s to Manning Road in Tecumseh. A downturn in the economy in 2008 didn’t faze her. In fact, she decided the time was right to expand her operation by another 3,000 square feet, allowing her to expand her designer inventory and bring in more fashion accessories. Anne’s is currently located in the upscale East Point Trails Plaza at 1695 Manning Road in Tecumseh. 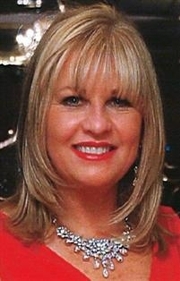 There are currently eight associates who share Anne’s vision about client needs and customer service, and each associate is committed to making the shopping experience a happy one so Anne’s on the Avenue can continue to enjoy its stellar reputation in the community. To be the top fashion boutique in Windsor-Essex County by offering our clients beautiful clothing and accessories while providing excellent customer service. We strive to help every woman create her own style confidence and to make looking her best as easy and effortless as possible. Anne Waters is President and CEO of Anne’s on the Avenue, and she believes that what we see on the outside is an extension of how you feel on the inside. In other words your wardrobe is a reflection on how you see yourself. A great wardrobe can make a woman feel empowered, make her feel beautiful, and bolster her self esteem. Anne calls that having “style confidence” and once she teaches you how to get it, there’s no turning back. There will be no second guessing your wardrobe choices (and no more outfits sitting in the back of the closet, tags still on). As an accomplished wardrobe specialist, Anne has produced and delivered hundreds of fashion seminars and fashion shows to various institutions, charitable organizations and community groups. She also created a customer service excellence course for the Industrial Resource Centre in Windsor, and has conducted retail and customer service training seminars for the Windsor-Regional Chamber of Commerce and the Royal Bank Of Canada. Anne Waters presently serves on the Board of Women’s Enterprise Skills Training W.E.S.T. She is the past chair and board member of the former Better Business Bureau of Windsor and Essex County. She is also the past director of the Canadian National Better Business Bureau. She served on the Board of Directors for the Women’s Economic Forum, Windsor Executives, and the Tecumseh BIA. She founded and served as president of the “UP On the Avenue Merchants Association.” Currently, Anne is a member of the Windsor Essex Chamber of Commerce, Women’s Economic Forum and Windsor Women in Business. Anne’s on the Avenue received the Windsor Biz X magazine award for the best accessory store in 2008. In February 2016, Tourism/Windsor/Essex/Pelee Island voted the boutique the “best woman’s clothing store of Windsor -Essex.” More recently, Anne’s on the Avenue was recognized as the “Trendiest Fashion Boutique” by Biz X Magazine on November 18, 2016. The store and fashions have been featured in the Windsor Star, Biz X Magazine, the Collective Publishing Company Inc., Accessories Magazine and other area publications.